There is considerable interest in developing methods for calculation of the free energy of fluids and materials from molecular simulations. Two prominent strategies, density-of-states sampling and “metadynamics,” seek to achieve uniform sampling of states through judicious addition of biasing potentials. In the particular case of metadynamics, a biasing potential is identified on the basis of one or more order parameters, and the convergence of a simulation is assessed by determining how regularly a given value of the order parameter is visited. That approach, however, can be of limited utility when the free energy curve exhibits multiple minima of disparate magnitude. In this work, we report a modified version of the original metadynamics algorithm that is based on maximization of round-trips (or flux) along the order parameter. The effectiveness of the proposed “flux tempered” approach is demonstrated in the context of two simple model systems, namely a pair of Lennard-Jones particles and a butane molecule. In both cases the flux tempered metadynamics method is significantly faster and more accurate than existing versions of metadynamics. 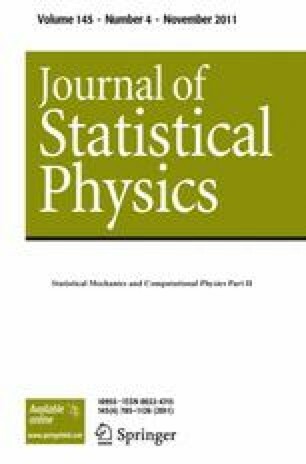 While the method introduced in this work is presented in reference to metadynamics approaches, the ideas proposed here can be applied to assess the convergence of free-energy calculations in general, provided the applied weights are differentiable with respect to the Cartesian coordinates of the system.